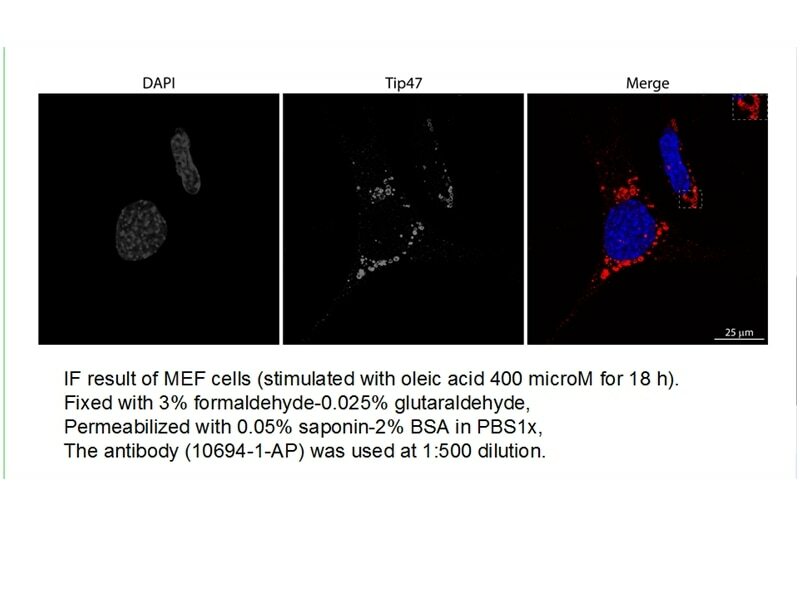 IF result of anti-TIP47 (10694-1-AP,1:500) with MEF cell by Dr.Hector Alex Saka. 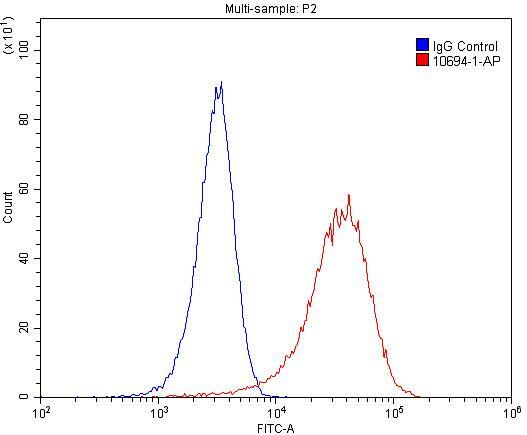 IP Result of anti-TIP47 (IP:10694-1-AP, 3ug; Detection:10694-1-AP 1:1000) with HeLa cells lysate 1000ug. 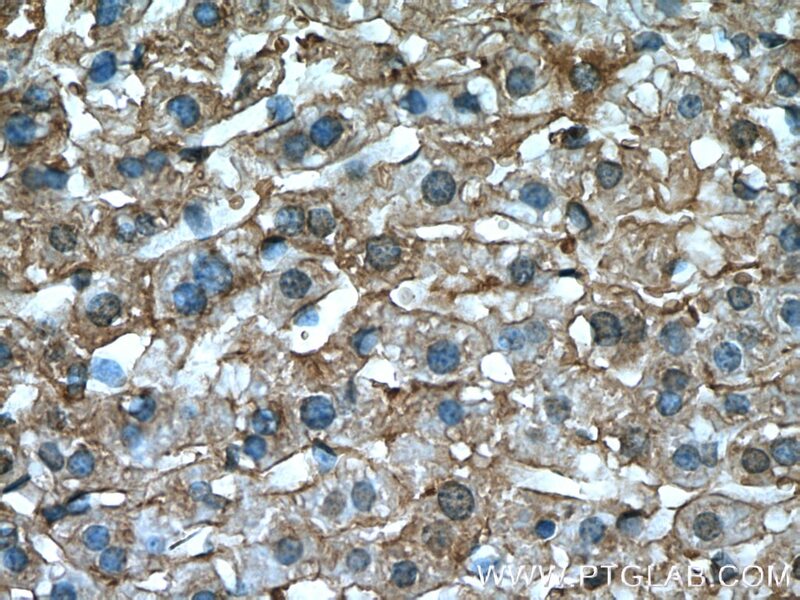 Immunohistochemical analysis of paraffin-embedded mouse liver tissue slide using 10694-1-AP( TIP47 antibody at dilution of 1:200 (under 10x lens). heat mediated antigen retrieved with Tris-EDTA buffer(pH9). 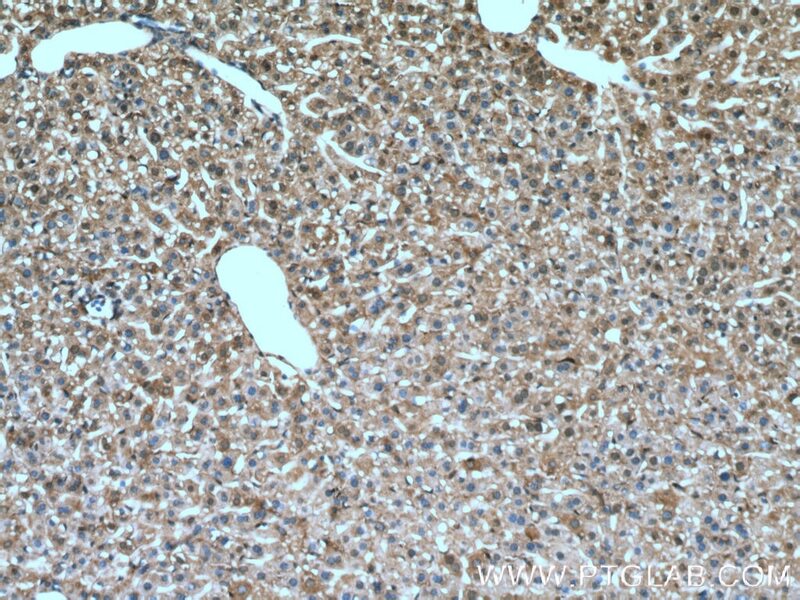 Immunohistochemical analysis of paraffin-embedded mouse liver tissue slide using 10694-1-AP( TIP47 antibody at dilution of 1:200 (under 40x lens). heat mediated antigen retrieved with Tris-EDTA buffer(pH9). 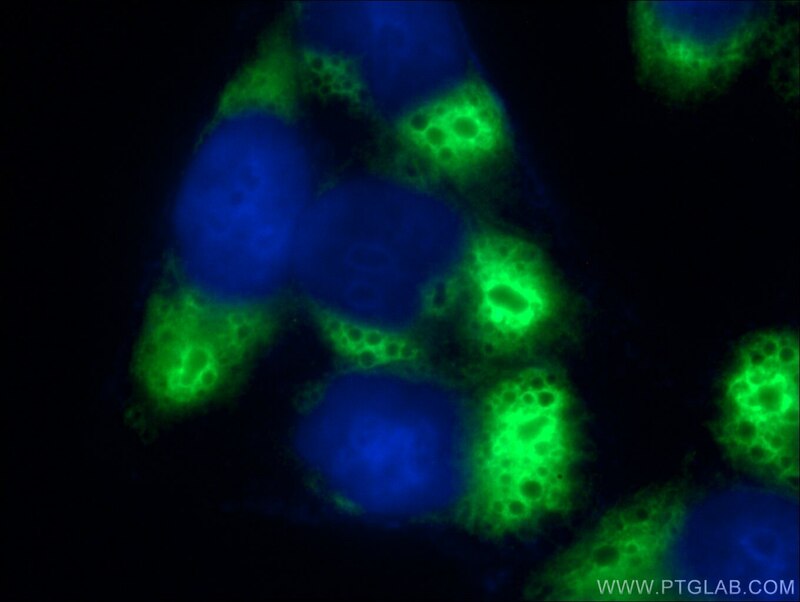 1X10^6 HeLa cells were stained with 0.2ug TIP47 antibody (10694-1-AP, red) and control antibody (blue). Fixed with 4% PFA blocked with 3% BSA (30 min). Alexa Fluor 488-conjugated AffiniPure Goat Anti-Rabbit IgG(H+L) with dilution 1:1500. Mannose 6-phosphate receptors (M6PRs) transport newly synthesized lysosomal hydrolases from the Golgi to prelysosomes and then return to the Golgi for another round of transport. M6PRBP1 (mannose-6-phosphate receptor binding protein 1), also known as TIP47, PLIN3 or PP17, interacts with the cytoplasmic domains of both cation-independent and cation-dependent M6PRs, and is required for endosome-to-Golgi transport. 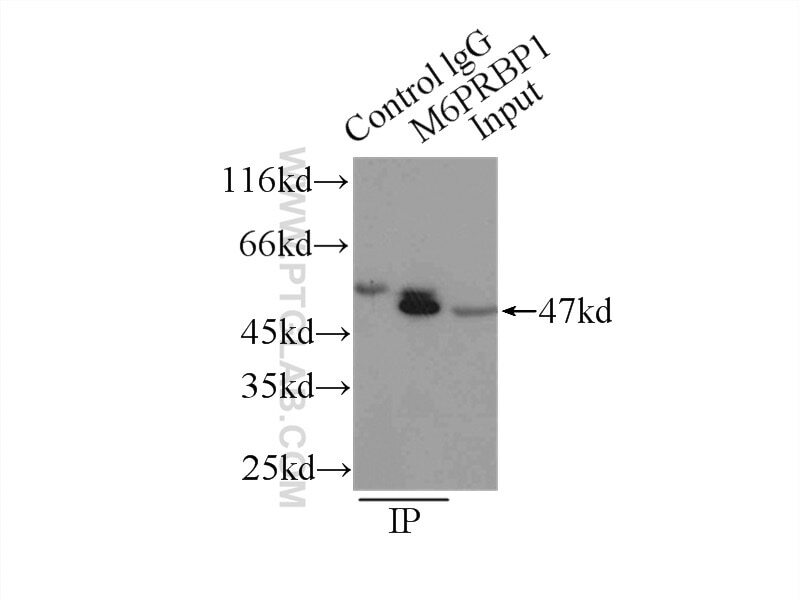 In addition to M6PR recycling, M6PRBP1 plays a role in lipid droplet biogenesis, and is also implicated in rhodopsin photobleaching and viral infection. 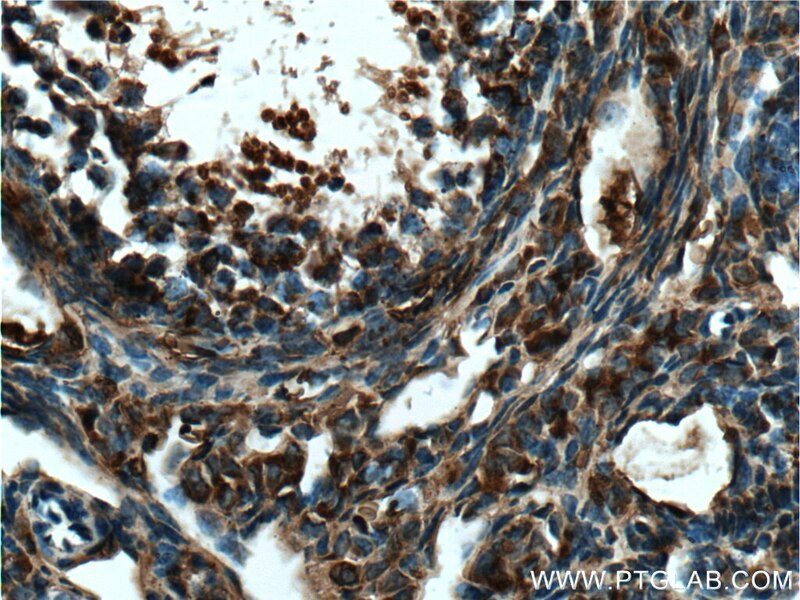 M6PRBP1 has been found to be expressed in a variety of human tissues (including colon, liver and lung parenchyme, mammary gland, and skin) and is overexpressed in certain cancer cell lines. It binds to lipid droplets and also occurs in cytosol and on endosomal membranes. A role for ubiquitin ligases and Spartin/SPG20 in lipid droplet turnover. HCV Core Residues Critical for Infectivity Are Also Involved in Core-NS5A Complex Formation. Perilipin-5 is regulated by statins and controls triglyceride contents in the hepatocyte. CIDEC/Fsp27 is regulated by PPARα and plays a critical role in fasting- and diet-induced hepatosteatosis. The Lipid Droplet Associated Protein Perilipin 3 facilitates hepatitis C Virus-Driven Hepatic Steatosis. Immunohistochemical analysis of paraffin-embedded mouse ovary tissue slide using 10694-1-AP( TIP47 antibody) at dilution of 1:50 (under 10x lens) heat mediated antigen retrieved with Tris-EDTA buffer(pH9). 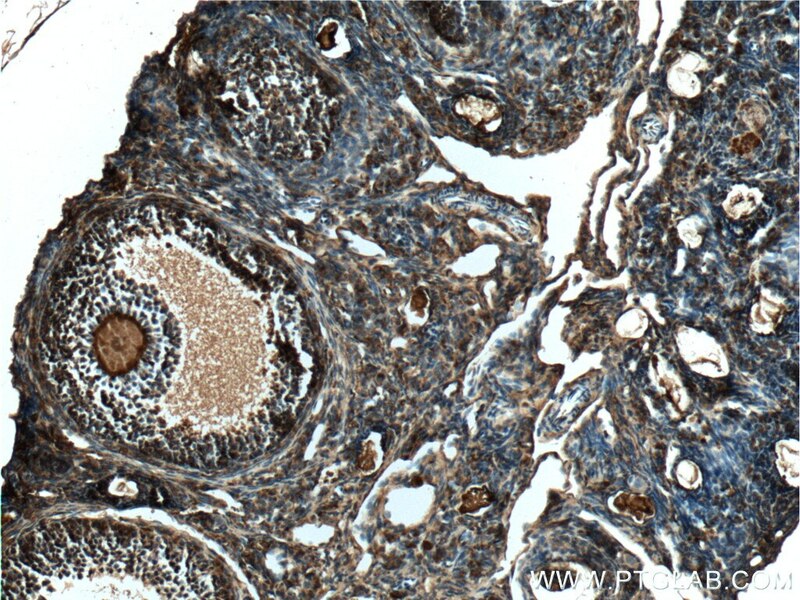 Immunohistochemical analysis of paraffin-embedded mouse ovary tissue slide using 10694-1-AP( TIP47 antibody) at dilution of 1:50 (under 40x lens) heat mediated antigen retrieved with Tris-EDTA buffer(pH9).